Ever wondered about an ALTERNATIVE to wearing Spectacles or Contact Lenses? Want to know more about a SAFE alternative to Laser? One possible option is a technique called Ortho K. This involves wearing very special, custom-made contact lenses overnight. While you are asleep the lenses gently mould your cornea by a tiny amount—less than a hair’s breadth—but enough to correct your vision. In the morning, you remove the lenses and enjoy corrected vision for the rest of the day! 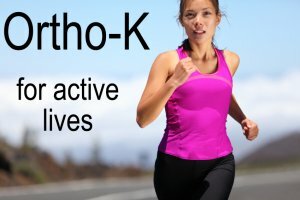 Who Can Benefit from Ortho K? This technique can give give shortsighted patients the ability to enjoy the best possible vision all day, without wearing contact lenses or glasses. It can be particularly useful for people who work in dusty or dirty environments. It can also be ideal for people need good sports vision to enjoy sports like rugby, football, surfing and sailing— where contact lenses and spectacles simply aren’t practical. Who is Suitable for Ortho K? Ortho K is indicated for short sighted patients (myopia) with prescriptions to –4.00 dioptres of myopia and up to 2.00 dioptres of astigmatism. There are other factors that affect the outcome as well, for example the way that the cornea responds to the lens overnight, and the shape of the cornea itself, as well as lifestyle factors; so even within this range success cannot be guaranteed. However, unlike surgical/laser procedures, the process is entirely reversible so patients who do not benefit from Ortho K are highly unlikely to suffer ANY adverse effects. Booking your Ortho-K consultation with our experienced and passionate optometrist is easy. 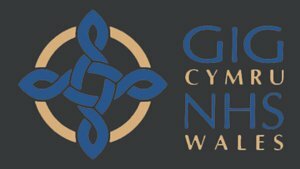 Simply call us on 029 2084 2255 and speak to a member of our friendly team, or click the link below to make an appointment.